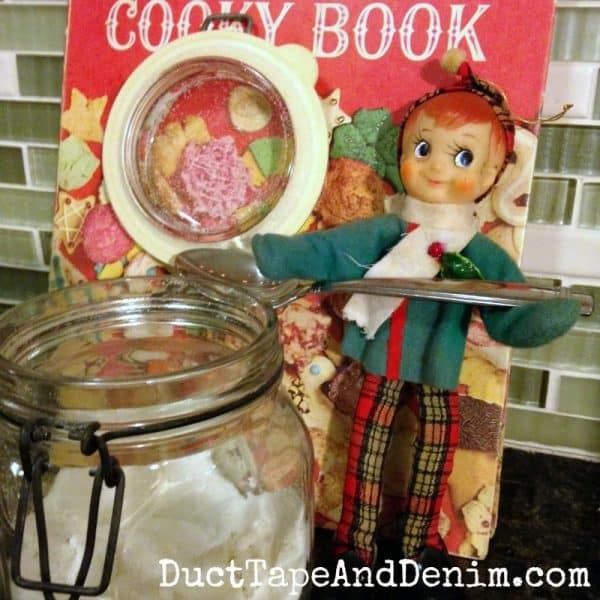 Today I’m excited to be joining up with my blogging buddies for a Christmas cookie hop. 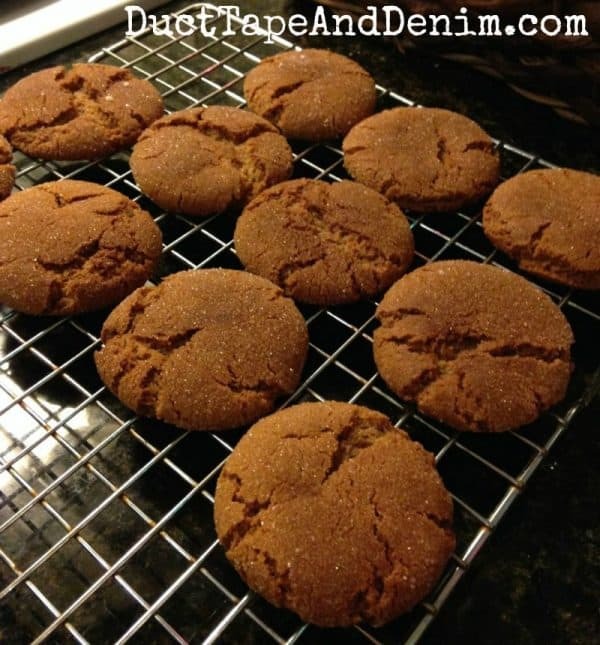 I’m sharing one of my family’s favorites, gingersnap cookies! Then scroll down to see LOTS more delicious cookies and some of my favorite tools for making them. Beat the shortening and sugar until creamy. Add molasses and egg. Beat well. Mix in baking soda, ginger, cinnamon, and cloves. Bake about 8 minutes. Remove from oven. Let sit 1-2 minutes before moving to cooling rack. Makes 48. Many of my favorite cookie recipes came from this cookbook that my mom had while I was growing up. It’s out of print but still pretty easy to find a copy of it. How do you like my vintage elf? Cute or creepy? Leave a comment and let me know what your favorite Christmas cookie is. Thanks! I love ginger and I love a great gingersnap even more, and mmm, rolled in sugar for a little extra crunch. So yummy, I can’t wait to try them! 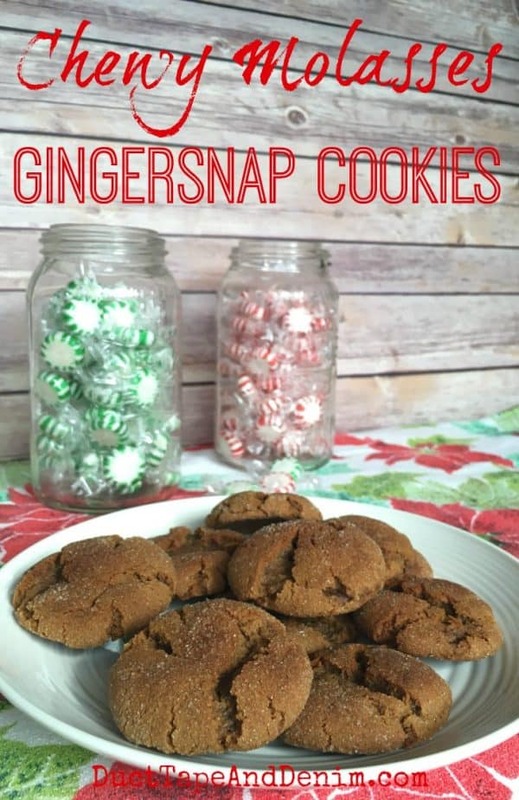 Ginger Snaps were my son’s favorite cookie. He would have ate every single cookie you put in front him…they look delicious. My husband loves Gingersnap cookies from the store. I bet he would be so happy if I made these. The recipe looks delicious! I will be making these for hubby for sure! I love that you had your sweet vintage elf there to help!! These cookies look incredible! The sugar crystals must add the perfect amount of sweetness to them. I have never made ginger snap cookies. Gosh, I need to get busy in the kitchen this Christmas! Lovely, post!